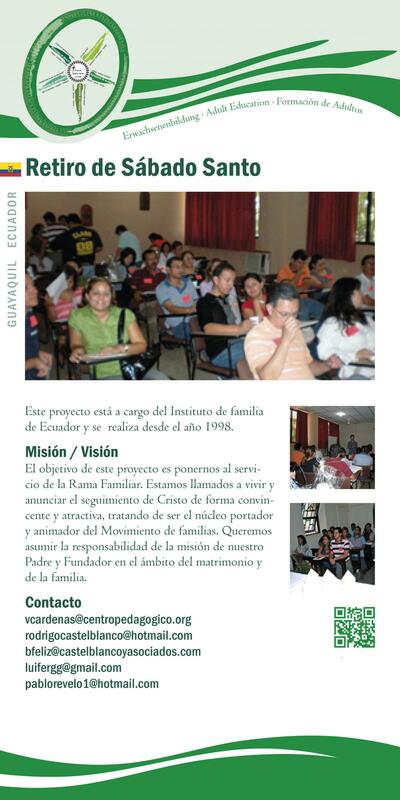 Recollection day on Holy Saturday is a project of the members of the Schoenstatt Family Institute in Ecuador. Since 1998. The project is understood as a service to families, because we are called to be the centre of strength and inspiration for families living their discipleship of Christ. Through this project in the spirit of Fr Kentenich we accept responsibility for the field of marriage and the family.